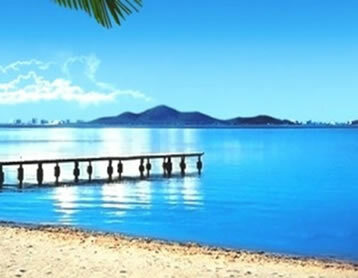 The Mar Menor, translated as ¨Little Sea¨, is found on the Costa Cálida, in the autonomous Region of Murcia. It comprises a large lagoon (170km2) that is separated from the Mediterranean by a sandbar known as ¨La Manga¨ which is 22 km in length, with a width varying between 100m and 1200m. 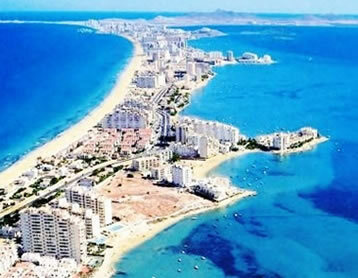 The two ¨seas¨ meet at an inlet found at the northern extreme of La Manga. There are five small islands within the Mar Menor, which is very saline and also very shallow, having a maximum depth of seven metres, resulting in the water being two degrees warmer than the Mediterranean Sea. The high salinity of the lagoon also aids flotation. 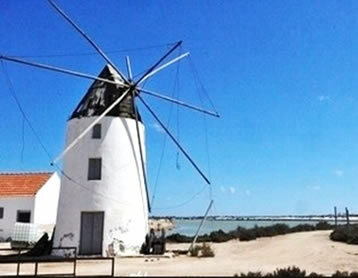 The Mar Menor is a very popular touristic and water sport destination, but also offers ecological attractions such as the salt flats located at its northern fringe, within the district of San Pedro del Pinatar. 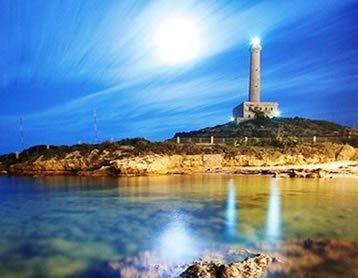 These include a wetland of international importance, which is conserved as a natural park. The Mar Menor as a whole is listed as a ¨Specially Protected Area of Mediterranean Importance¨ and is a ¨Special Protection Area¨ for bird life. 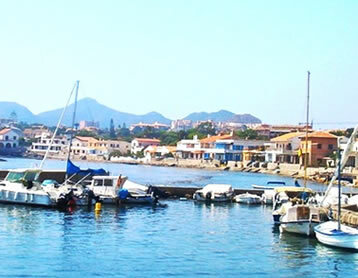 At the southern end of the Mar Menor the coastal town of Cabo de Palos forms part of a marine reserve, which includes the Islas Hormigas. The main towns on the Mar Menor are found on the north west shore, including San Pedro del Pinatar, San Javier and Los Alcazares. These are grouped closely and benefit from being situated close to Murcia international and military airport (San Javier). The new Murcia airport is located at Corvera, found within 20km inland, to the west. The largest town in the area is the historic, naval town of Cartagena located within 15km to the south-west. 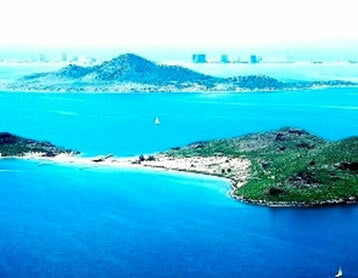 The Mar Menor offers a number of leisure marinas, with the largest being Tomas Maestre on La Manga. 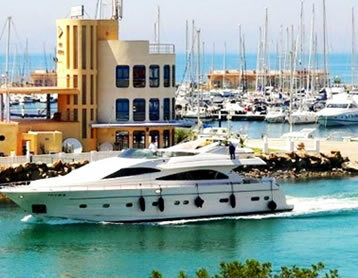 This marina offers 1.800 moorings with capacity for boats from 7m to 30m in length, and provides two commercial areas with boutiques and restaurants. 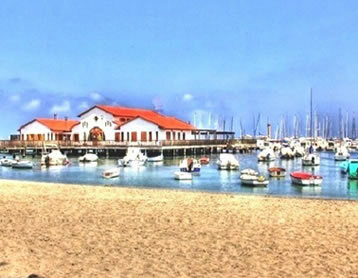 The nearby Cabo de Palos marina offers 180 moorings, whilst Club de Regatas Los Urrutias (south shore) offers 250 moorings and the Club Nautico of Los Alzacares offers 280 moorings. In addition to its sandy beaches, environmental interests, and maritime sport and leisure activities, the Mar Menor and its area of influence also offers a vast selection of golf and residential resorts, many of which have been constructed during the past few decades. The oldest, and most exclusive of these golf resorts is La Manga Club, which was built in the early 1970´s by Gregory Peters and his business partners. This resort also offers other fine sports facilities and is known to be used by professional football clubs and international football squads as a training centre. In addition to golf, football, tennis, cricket and volleyball facilities, it also offers a 5-star hotel, plus a Spa and Fitness centre. 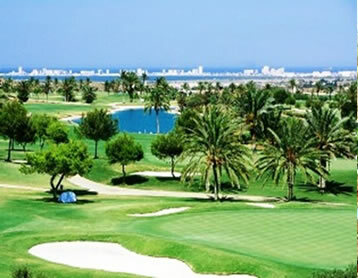 Other well regarded golf resorts in the area include the Polaris World Resorts, (Mar Menor, La Torre, Hacienda Riquelme, El Valle) plus Roda Golf and Beach Club, Corvera Golf and Country Club, plus Peraleja Golf.